We wait patiently for summer to get here, can’t wait to enjoy all the fun, outdoor activities. From camping, swimming, picnics and backyard barbeques it’s a welcome change from the dark, grey days of winter. Some would argue that summer is the best season however it does come with some pests determined to spoil the fun. Mosquitoes for one enjoy their peak season in the summer and sure have a way of ruining things for humans. There you are just taking a nice dip at the lake and along comes the mosquito determined to take a bite out of everyone and leave you with a bunch of itchy bites. So what can be done aside from using all those chemical laden sprays and so on, well fear not, there are other ways to be rid of these pests, namely certain plants. How do Plants Repel Mosquitos? Basically all the lovely fragrances from plants that humans like so much are not as attractive to mosquitos. 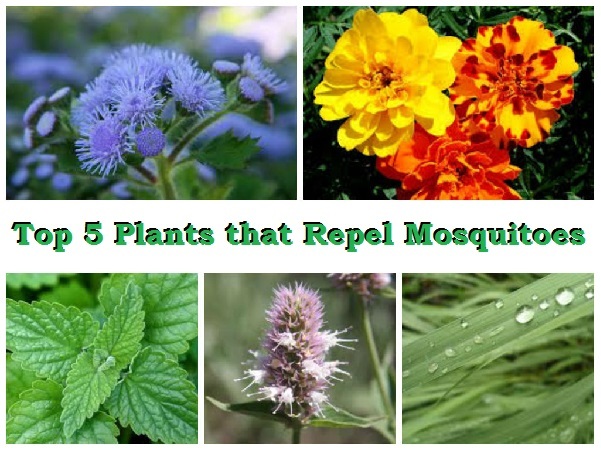 Local Pest Control has listed below 5 plants to repel mosquitos and mask the scent than humans produce and draw these pests to ruin our time outdoors. Some research may have uncovered the fact that the citronella plant and products can repel mosquitos. The only problem is you’d need a jungle of these plants to get the desired effect and while it can be helpful it’s not a foolproof solution. Catnip is related to the mint plant and contains the chemical nepetalactone which is a natural mosquito repellant. The downside is catnip is loved by cats so planting this one in your garden and you could find yourself hosting a bunch of cats. Growing basil in your garden is handy when you want to make pesto or spaghetti bolognese but it can also help repel mosquitos. Research shows it has four mosquito repelling substances and can be effective at dealing with the pests. Bear in mind no one plant is 100% effective with a mosquito problem. While humans love the scent of lavender turns out mosquitos don’t and it’s also believed to hinder their ability to smell making it a good one to plant in the garden. Easy to grow they’re believed to be effective as a repellant. Arguably it’s believed the detectable scent and it’s essential oils help to keep your home and garden free of not only the mosquitos but aphids as well. Beside planting a yard full of plants to repel them you could consult your Vancouver pest control professionals.